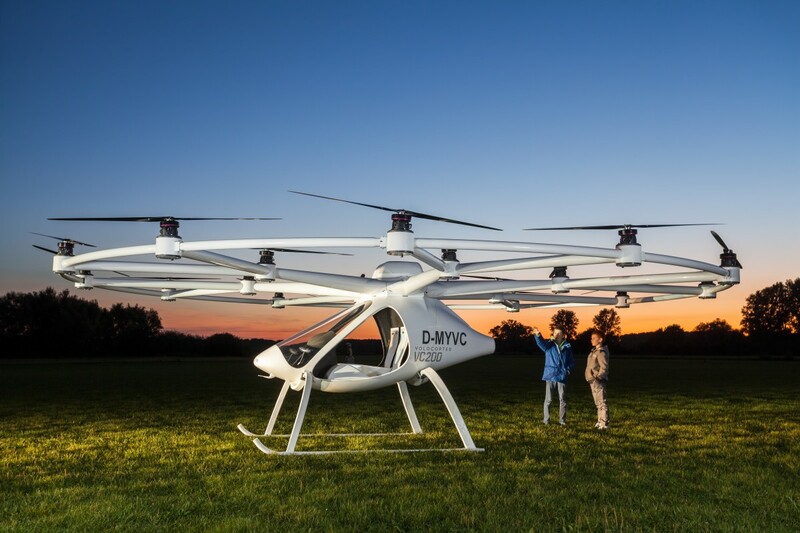 Volocopter: The Future of Flight? Meet the aircraft that’s so unique, German aviation authorities need to create a new aircraft category for it: the Volocopter. Engineered for flight using the type of multiple propeller technology we’re used to seeing on drones, the Volocopter achieves vertical takeoff and landings just like a helicopter. It can be easily and intuitively flown using only a joystick. This two-seater is just a prototype, but one with a big promise for the future of flight. The latest iteration flew for the first time late last year, fueled by a battery-powered motor that gets it about 20 minutes in the air. While it may not be able to log much time airborne now, a better combustion system is planned, as is a way to fold up its extensive propeller array to make it easier to store. If nothing else, this new design is turning heads. Last December the company was honored with an award from the United Nations for its promise of providing clean and energy-efficient air transportation. As the pilot testimonials on the Volocopter website can confirm, it looks like a lot of fun to fly. We look forward to seeing this prototype and others like it as companies across the globe continue to engineer the future of flight.